The team from Silicon Valley Bank have been in meetings around Las Vegas getting to know the tech community over the past year. Dax Williamson says there are 3 key differentiators of Silicon Valley Bank, each of which reinforces the other. “First, is that we are the only global financial institution that is exclusively focused on serving the of the innovation economy. This is important, because we don’t cycle in and out of the tech sector, as the economy fluctuates, but are fully committed,” he said. Beyond capital, Silicon Valley Bank helps entrepreneurs with connections and counsel. 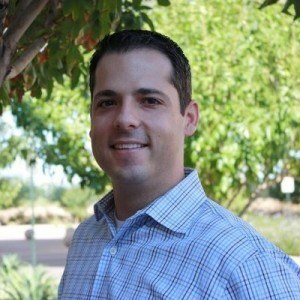 How can Dax Williamson and his team at Silicon Valley Bank help your #VegasTech startup? Dax Williamson likes to think of his team as very good “dot-connectors” in helping companies solve unique problems they encounter as they scale their company. If you are raising capital for your first time, Dax Williamson says it is critically important to have a good attorney, who is familiar with venture financings and knows how to work with early-stage companies, but more importantly can help you strategize on what type of capital you will raise and what the end result will be. Rather, he suggests to begin with the end in mind and hire the right advisors early on in your start-up. “Some issues that can derail a company are the entity formation not being correctly documented at the outset, or even issues with the cap table and lack of clarity on founder equity/ownership. An experienced attorney can help you avoid these future problems,” he said. Dax Williamson says he believes connections are everything, and he and his team hope to meet more and more Las Vegas startups and entrepreneurs. “While we try to be very well-connected and knowledgeable about the innovators and emerging growth companies, we certainly don’t know everyone. To the extent that there is a high-growth/high-potential company that hasn’t heard of the unique ways in which we help entrepreneurs, we’d very much appreciate an introduction. Together, we hope to play a small role in accelerating the success of the Vegas tech ecosystem,” Dax Williamson said. About Silicon Valley Bank: SVB Financial Group is the parent company of Silicon Valley Bank and its affiliates that serve the technology, life science, venture capital/private equity and premium wine industries. 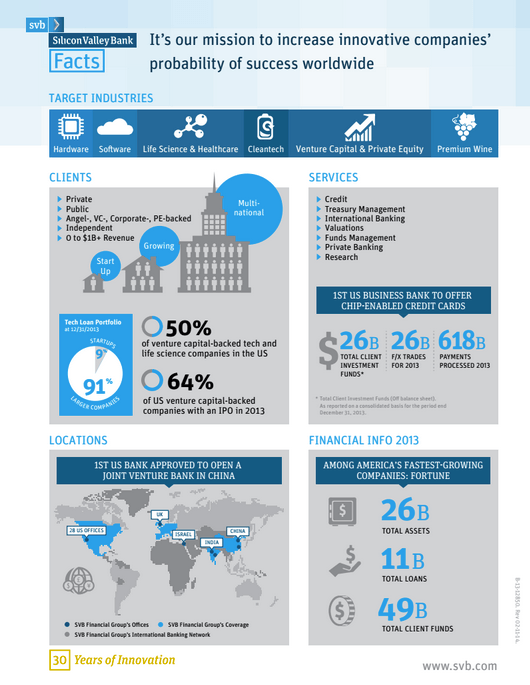 Offering diversified financial services through Silicon Valley Bank, SVB Analytics, SVB Capital, SVB Global and SVB Private Client Services, SVB Financial Group provides clients with commercial, investment, international and private banking services. The company also offers funds management, broker-dealer transactions and asset management, as well as the added value of its knowledge and networks worldwide. Headquartered in Santa Clara, Calif., SVB Financial Group (Nasdaq: SIVB) operates through 27 offices in the U.S. and international operations in China, India, Israel and the United Kingdom.